Jumping into June, we're on a roll for creative summer stuff that will perk your imagination and creative juices. Once again, we're into some good reading and some good idea starters. When you travel this summer, keep clicking that camera and seeing the design inspiration that is all around you! Send in your favorites to share in Creative Tidbits . . .
As the newly updated design classic, A Smile in the Mind: Witty Thinking in Graphic Design argues, humor is big business and, when done right, it can help companies win favor and even forge an emotional bond with customers more effectively than hard sell tactics. A compendium of design jokes, visual puzzles and optical gags first published in 1996, A Smile in the Mind offers hundreds of examples of graphic wit from the world of branding, packaging, publications, and advertising. Even for those who roll their eyes at such witticisms, there is still plenty of serious, practical wisdom packed in this excellent compendium, written by design and branding experts. The works of Finnish textile artist Kustaa Saksi burst with vivid colour and shapes depicting diverse subjects from history and mythology to flora and fauna. While the subject matter might change, one thing remains the same – they are all visually stunning. Seniors in the graphic design major take a capstone course that asks them to complete a project showcasing everything a graphic designer should know how to do, said Melanie Rodgers, associate professor of art and coordinator of graphic design program. Logos, logos, logos, and rip off feveer ... Jeff Heldt didn’t think much about the state’s new license plate when Gov. Pete Ricketts unveiled it last month. 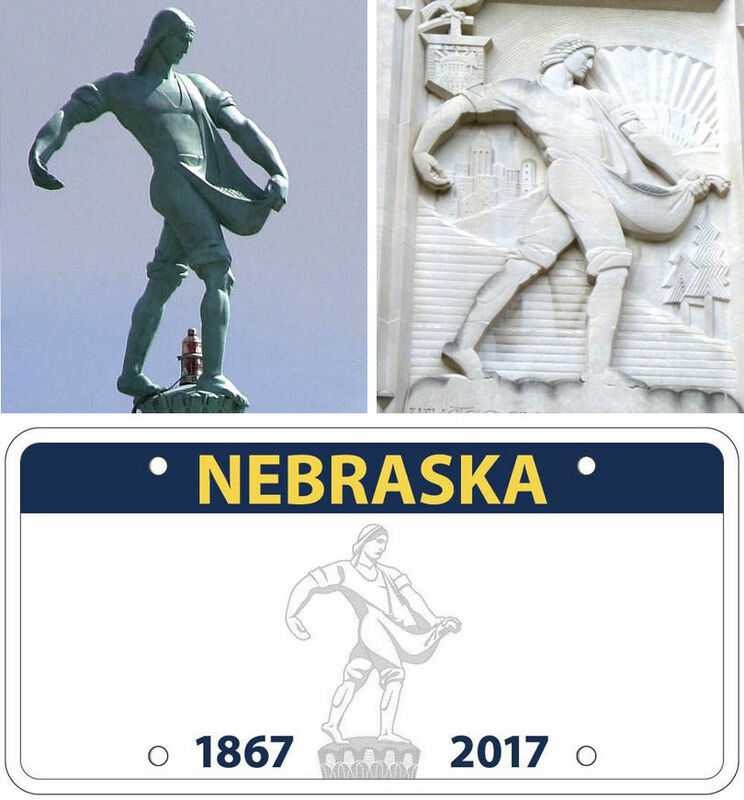 But then he saw the plate, in Thursday’s World-Herald, displayed next to images of the Sower on the Nebraska State Capitol and the sower sculpture on a bell tower at Michigan State University. That’s when it dawned on him. In 1979, a young candidate for a job in the English department at Augusta College -- we’ll call him Jim Garvey -- got his first tour of downtown Augusta. On Greene Street he saw a huge Catholic church, empty and abandoned, with a for sale sign out front. All along Broad Street, a handsome cityscape of 19th-century buildings, stood empty storefronts. No people walked the sidewalks, no cars were parked in the lined spaces. Whoa, he thought, this place is dead. Here is a nice piece from this article.